17 people who should write Today in Tabs. Wow I can’t believe that Don Draper was Coca-Cola all along! I guess it’s true what they say, COKE: IT DOES A BODY GOOD.™ If you, like me and the vast majority of people, didn’t watch the Mad Men finale, I don’t even know what to tell you. I literally don’t know what to tell you. I didn’t watch it. It was a major cultural event, they say, among people who did watch it, which, again, was almost no one. I’m prudentially opposed to capital punishment. If it was only used for cases like Tsarnaev, I’d be fine with it. If this Tabs seems scattered so far it’s because I took a week off and the world completely lost its mind. Fish can be both warm-blooded and furry now. io.js voted to join the Node Foundation. Dylan Byers unearthed previously-unimaginable ties between George Stephanopoulos and the Clintons! 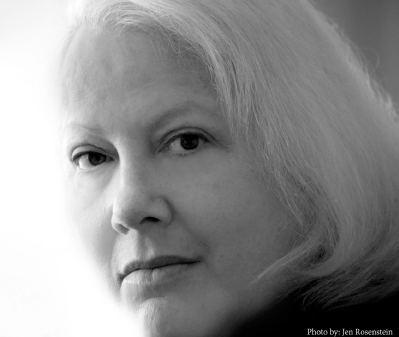 Nikki Finke is launching a fiction site and published a glossy headshot of herself. Bill Cosby faced direct questions about the 3,289 women who say he raped them and responded with what seem to just be random words? Paul Ford joined The New Republic as a contributing editor and posted his first column, about creeping on people in Spotify. He signed off with the now-traditional TNR catchphrase: “Until next time, please remove me from your masthead!” If you needed a journalism-related chortle today: Judith Miller and James O’Keefe “talk about the state of the media today, and how, in the last several years, the attitude — and, more importantly, the professionalism — of the once noble Fourth Estate has declined…” And in the Times: relationship fails, equality fails, commune fails. Two crows fall in love, move in together, start a family. Today in Teens: Welcome to the Millennial Star Chamber. In Silicon Valley, teens just cannot goddamn wait to get old and type into a machine all day long. It’s Victoria Day in Canada today, another moment where we celebrate a member of the British monarchy that somehow still rules this country despite our independence almost 150 years ago. In case people aren’t already flooding patios everywhere, this weekend is also commonly associated with the Canadian name for a case of beer. Speaking of Canadian history, nothing gets us Canucks excited like Heritage Minutes1. They are like SchoolHouse Rock!, except they’re not cartoons, just 80 ridiculously acted 60-second short film-things with endlessly quotable lines. Happily enough, there has been a recent resurgence of interest in them. A new Minute was released, a Drake-themed Twitter feed popped up, and even free, packed showings of them were held in cities around the country where a proud group of nerds did their best Rocky Horror impression of shouting at the screen. Part of our Heritage indeed. 1. An exception to this rule is cultural behemoth Degrassi, iterations of which have successfully been on the air for more than two decades. I don’t know about all of you but I’m learning so much about Canada that will come in really handy when I finally flee the US for good. Today in Tabs is now somewhat more emphatically brought to you by Fast Company, and will continue to be delivered by email if you subscribe. I think I made our mobile email version work a lot better, so please reply and let me know if it’s still broken, or if it’s not broken anymore and you are happy. Either way.